The Festival of Arts included Mad Dogs and the Englishman as part of our summer concert series. It was not only SOLD OUT but was one of the highlights of our year. Everyone was on their feet. It was an extraordinary performance. The band members were all top notch. 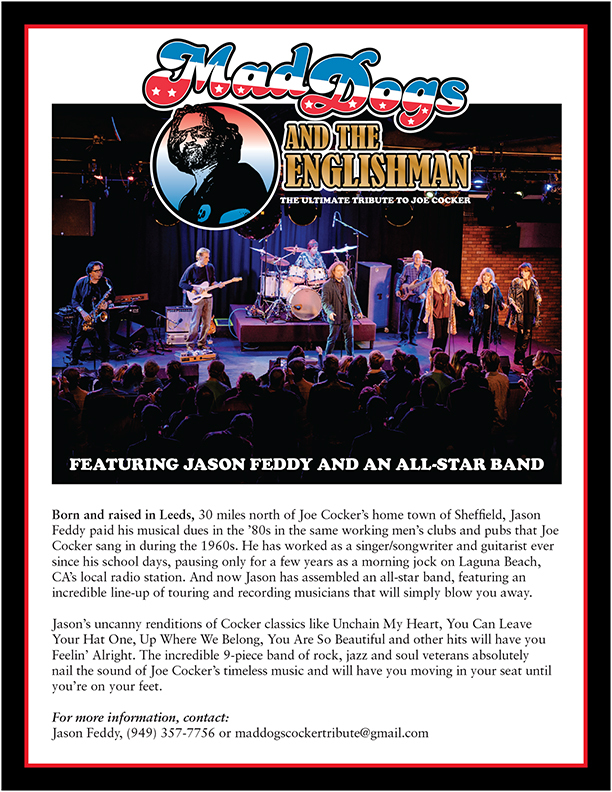 Jason Feddy IS Joe Cocker! Logo download includes vector .ai, .jpg and transparent .png files for both dark and light backgrounds.